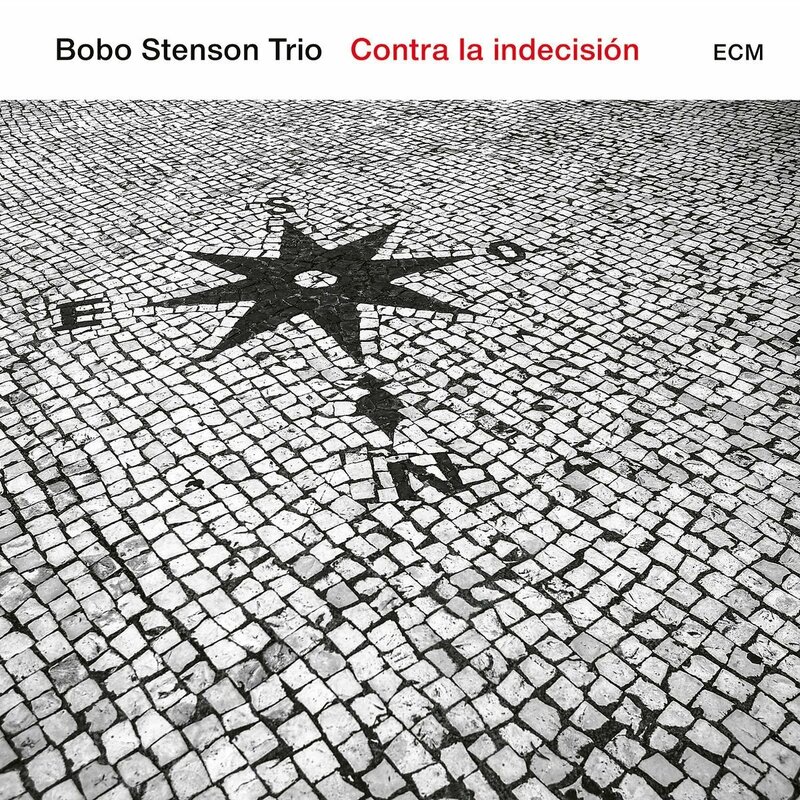 It’s ten years since the first album by this line-up of Bobo Stenson’s trio and only the third in that time, but the wait for this latest release on ECM, with which Stenson has been associated for over forty years, has been more than worth it. Stenson, over the years, seems to have embodied and originated a way of playing that brings together different threads of musical traditions and performs some alchemy that creates a distinctive, beautiful and instantly recognisable sound. It’s rooted in the jazz tradition, but folk, classical and complete freedom in improvisation are all there, suffused by a joyful, reflective melancholy that’s perhaps a uniquely Nordic flavor. This trio and this recording breath vivid life into all of those elements. Anders Jormin’s bass sings and pulses throughout, producing the occasional unearthly cry; Jon Fält’s drumming transmutes mysteriously from colour and shimmering atmospheres to visceral grooves and back again. The repertoire is typical of Stenson’s approach. Originals from the band, mainly Jormin with one from the leader and a collective improvisation, nestle alongside an eclectic set of sources ranging from Cuban singer-songwriter Silvio Rodriguez, through Bartok, Satie and Spanish composer Mompou. There’s a coherence to the set nevertheless. The trio only ever sound like themselves. There’s perhaps a greater directness about this album in some of the interpretations. The opener and title track, a Rodriguez composition, sounds fleetingly in their hands as if it could have come from a Keith Jarrett European Quartet’s album, with little tweaks to the end of the singing melody’s phrases and a country-ish groove taking hold. Stenson’s touch however, scurrying counter melodies and bitter sweet twists to the harmony are utterly distinctive and personal. This band has a way of grooving that is like a signature. On Satie’s Elégie Stenson’s introduction leaves singing, open chords, hanging. Then, the way chords are broken under fragments of emerging phrases somehow brings Jormin and Fält in, a rocking groove springs up that buoys and propels a glistening solo. It is the sum of their contributions, they breath together, no-one plays time; cymbal ticks, the rustle of brushes and the occasional slap of a snare, off-beat comments from the bass and ripples that chase flurries from the piano. On Jormin’s Hemingway Intonations the driving pulse coalesces gradually, Fält’s impressionistic percussion shepherding the elements together after the austere, meditative theme. Stenson’s own Alice is free-er and more abstract, shimmering with intensity. On Jormin’s Octoberhavet the arco bass makes the attractive melody sing over another infectious, quietly dancing accompaniment, launching more spiralling, melodic invention from the piano. 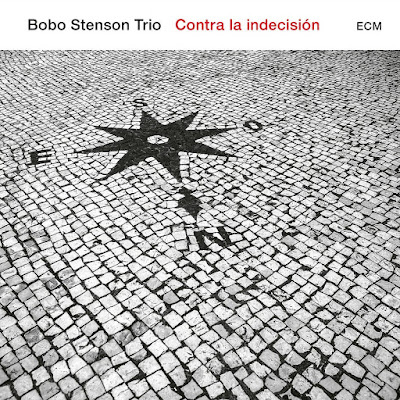 This is another luminous Bobo Stenson Trio recording to stand along-side the internationally acclaimed Cantada and Indicum.